Chris and his wife Elizabeth won a once-in-a-lifetime trip to Nashville—they wined and dined with Jason and Brittany Aldean! Being at a restaurant with the owner is already pretty cool, but it’s way more awesome when the owner is ALSO an award-winning country superstar! Watch the video for more details on their incredible dinner at Jason Aldean’s Kitchen Rooftop + Bar. It was amazing! We talked about his career, our families, sports. He and his wife were very gracious. They were really down to earth and easy to be around. Meet Chris! He loves music and beer, he was raised in a small town and his family is extremely important to him. Jason Aldean has been a dedicated supporter of Susan G. Komen® and the fight against breast cancer since he lost a dear friend to the disease. This incredible organization has transformed how the world treats and talks about breast cancer and has helped turn millions of breast cancer patients into breast cancer survivors. 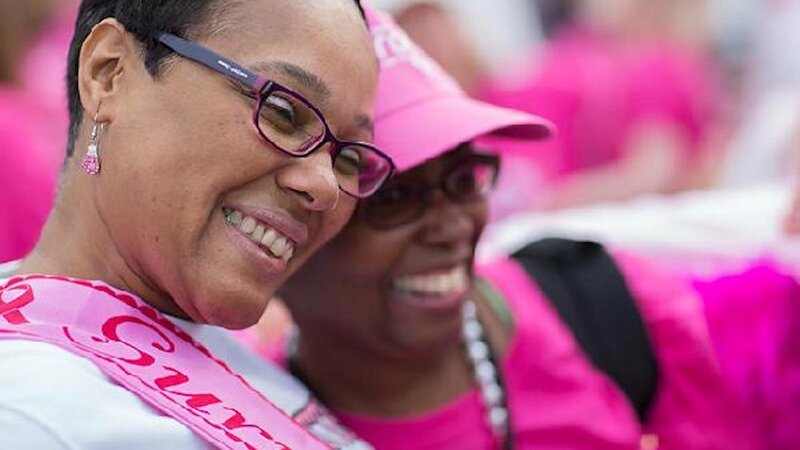 Your generosity will help Susan G. Komen meet the most critical needs of our communities, invest in breakthrough research and get closer to achieving its bold goal of reducing the current number of breast cancer deaths by 50% in the US by 2026.